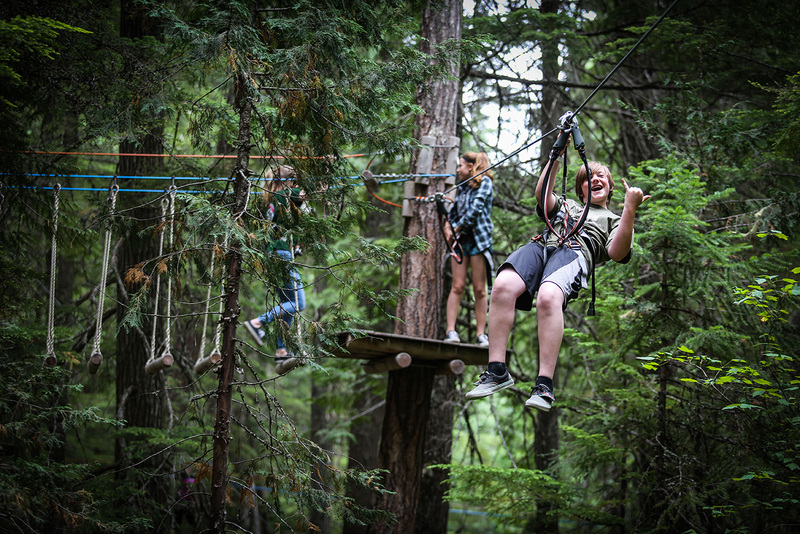 Treetop aerial adventure tree to tree course is an elevated obstacle course set in a beautiful Douglas Fir forest and securely suspended between the trees at 10 to 60 feet off the ground! 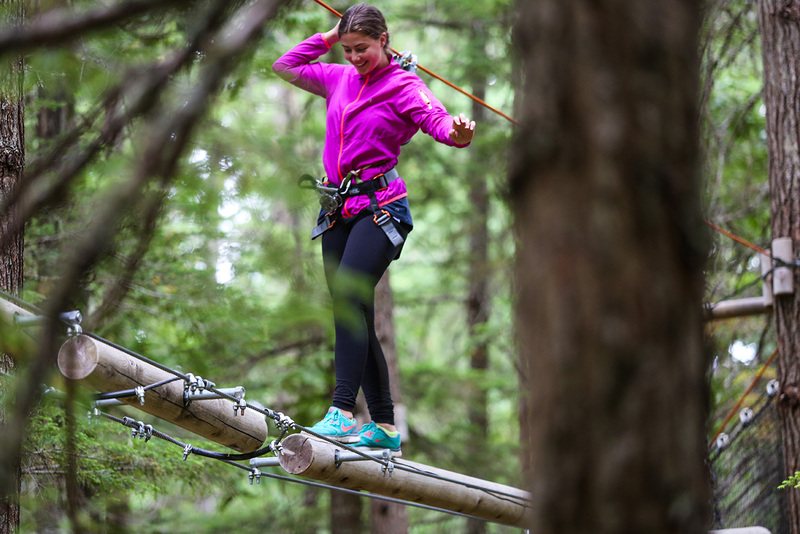 This self-managed system allows you to move independently through a series of surprising and progressively challenging tree to tree elements, including zip lines, suspended bridges, scramble nets and swinging logs. Think Raiders of the Lost Ark. We do this fun activity on the Day off snow.